Zarrab has Flipped – Is Erdogan the real Target? The New York Justice System is what it is. They have “flipped” the Turkish-Iranian businessman Reza Zarrab into a prosecuting witness offering him a reduced sentence if he testifies. That means the deputy chief of the Turkish Halkbank, Mehmet Hakan Atilla, is now the only defendant in the process to stand trial. According to the New York Times, Zarrab is now listed as a “suspected accomplice” on a list of potential witnesses and other stakeholders handed over to members of the jury on Monday. This is now really political for his testimony could have serious consequences for the Turkish government. 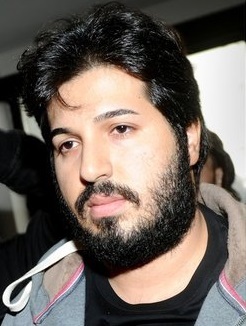 Zarrab had close contacts with the family of Turkish President Recep Tayyip Erdogan. Erdogan must expect to be in the sights of the US investigators themselves. The question is now, are they targeting Erdogan to discredit him internationally?